The latest figures show almost 700,000 people travelled on the Borders Railway during its first six months of operation. The usage level is 22% more than was forecast for the route from Edinburgh to Tweedbank. Transport Minister Humza Yousaf said the passenger numbers further justified the decision to restore rail services to the region after more than 40 years. The multi-million pound route opened in September last year. Before the line opened, forecasters predicted it would carry almost 650,000 passengers a year. It has already exceeded that level within its first six months. 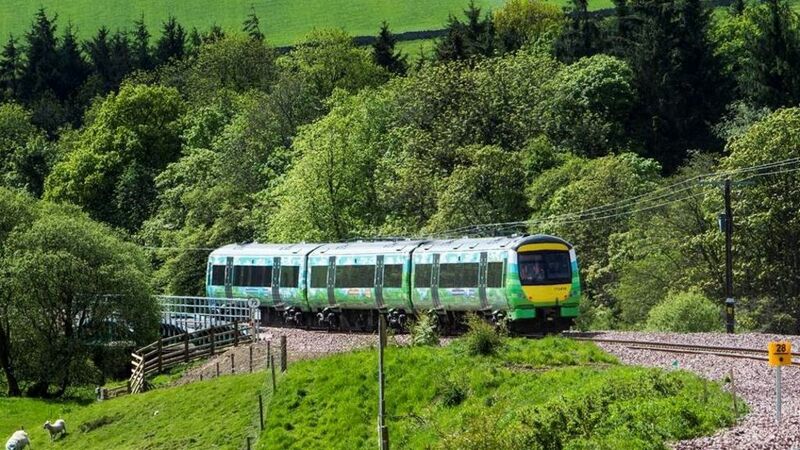 Rail campaigners have previously described the usage predictions as 'ludicrously pessimistic' and said they were not surprised by the popularity of the line. Figures for the Borders Railway show nearly 700,000 people travelled on the line during its first six months - 22% above forecast levels.